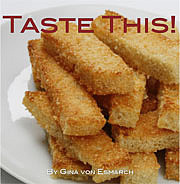 Published on January 27, 2011 in Recipes. 2 Comments Tags: FoodILY.com. When you get a chance to cook good food with a good friend the result is fun + delicious = FUNICIOUS. The menu: Bavarian Schnitzel alla Lance! 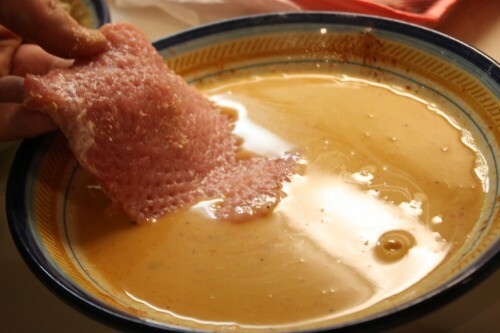 While I am far from an expert German cook, I can tell you a few things about this dish. 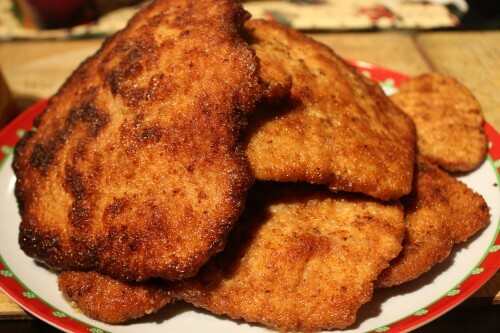 ‘Schnitzel’ means ‘meat in a crust’. There are more ways to make schnitzel than I can count; each is good and very unique. 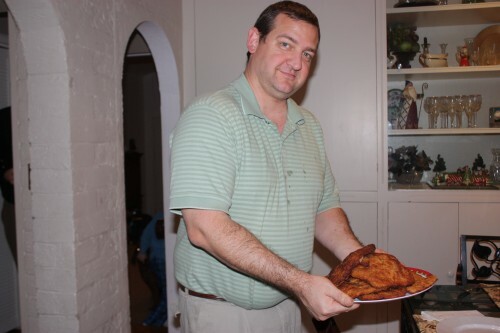 The beautiful warm color of this dish combined with the crunchy outer coating on the meat is one of my favorite things to eat. 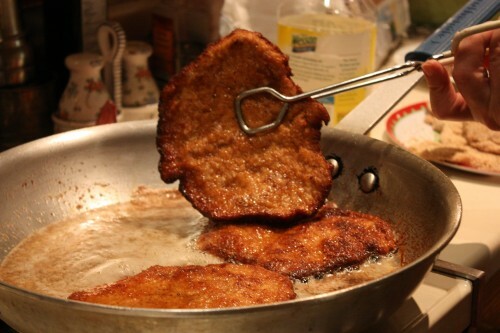 Serve the schnitzels with salad, potato salad, French fries or skillet potatoes with onion. And whatever you do, don’t forget to accompany it with a nice frosty beer! 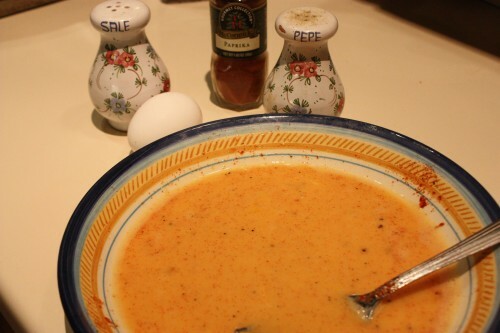 In a medium size bowl, add the egg, milk, paprika, salt and pepper. Mix well with a fork. Color should be be on the reddish side, rather than yellow. 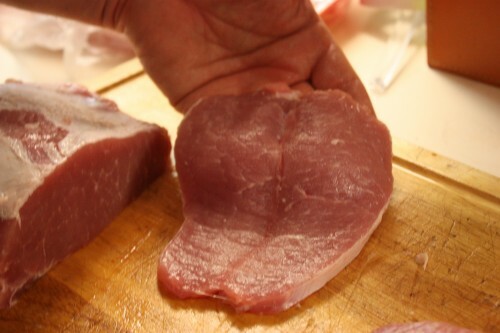 Take pork loin, remove as much of the fat coating as possible, and cut it down middle to butterfly the meat. 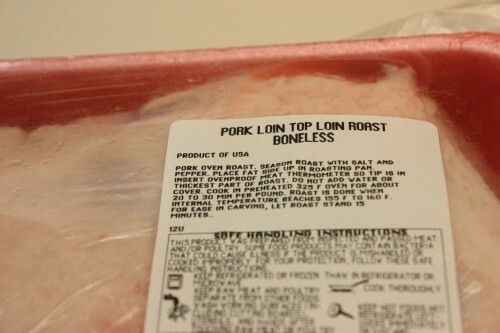 Cover each piece with plastic wrap to tenderize meat. 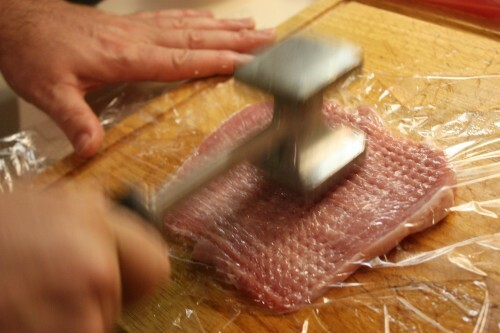 Taking a mallet (if a mallet is not available the edge of a small pot can be used), pound the meat on a cutting board until it is flattened and tender. 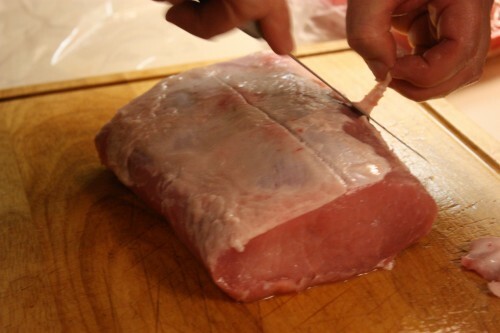 When cutlets are at the desired thickness, approximately 1/4-1/8 inch thick, remove the plastic wrap and cut small slits around the edges of the cutlets to prevent curling. Place bread crumbs in a shallow bowl, Dip each piece of meat into the egg mixture and then into bread crumbs (this is your panade). 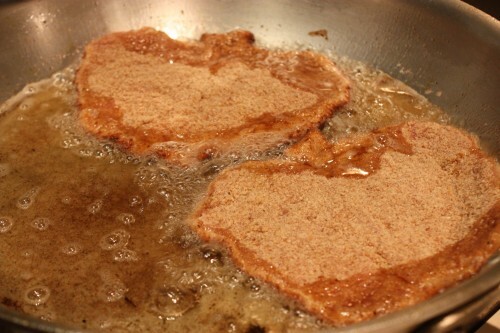 Press the flattened cutlet into the bread crumbs to ensure they stick. 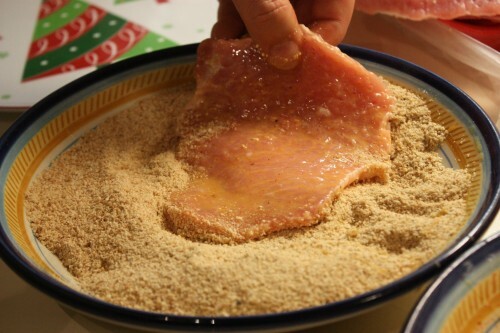 Flip the meat over several times in the breadcrumbs until the coating sticks well. In a large pan, heat oil on medium high heat. It is important that the oil cover the bottom of the pan and that it covers half way up the side of the cutlet when submerged. When the oil is hot, which an be tested by placing in a small breadcrumb in the oil to see if it sizzles, working in batches, sauté the cutlets for 3-4 minutes on each side. Finished cutlets should be a bit darker than the golden brown color. 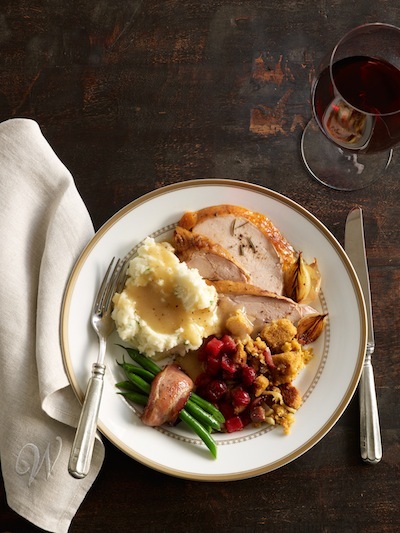 Once removed from the pan, cover with foil or place in a warm oven to keep from cooling off. 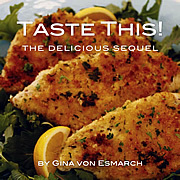 To serve, squeeze fresh lemon juice over the breaded meat. Read your post yesterday. It stayed with me. I was so happy to see Schnitzel on the menu of the restaurant we went to last night. Now I have to try this one. I love the action shot of pounding it out. The last picture made me hungry, and now I may have to make this for friends here before I leave.